Yep, to make our readers enjoy our stories, to fall in love with our characters, we have to make them believable, real. 3D characters are what gives life to your work and makes it memorable. Disney is great for giving us lasting themes to pull apart and use for our characters. Time-worn but loveable themes like Beauty and the Beast and Cinderella are used over and over again. 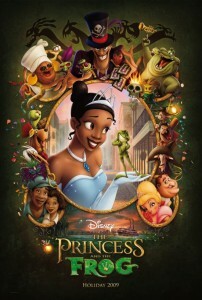 I watched The Princess and the Frog for about the fifth time on Saturday night with my kids and it struck me why i like it so much. Sure it's got the jaunty music, a handsome prince and some comedic secondary characters. But what really got me was the message behind Tiana, the lead. She is a hard-working girl, doing everything she can to achieve her dream. There is no waiting for Prince Charming, she's taking life by the reins and getting herself her dream, all by herself. However, this is where we discover, with the help of the catchy song by the Cajun Priestess Mama Odie, that in order for Tiana to realise her real dream (that being something that she didn't know she's always wanted! ), she has to dig deeper. How is this relevant to our writing? To your characters? To make your characters 3D, lovable, believable and root-worthy (get your mind out of the gutter!) they need to walk onto that first page with a dream, or with something that they want with a passion. As the story progresses, they clash with other characters or they are forced by excellent plot devices to realise that their dream is deeper than they realised (but that we, the knowing reader always suspected! ), and this gives them that 3-dimensionality that keeps readers turning the pages. It is also part of a characters growth known as the character arc. Another excellent way to make our characters believable and real, but that may be ideal for another post!